With over 35 years of test prep instruction, The Princeton Review understands the ACT, students prepping for it, and the mistakes and struggles those students have. They are one of the most established test prep course providers with a stellar reputation for high-quality materials, personalized courses, high-score guarantees, and a price tag to match. They have tailored their courses to help students most efficiently and effectively study for the ACT, without wasting time memorizing less important information or practicing problems in strong areas. The Princeton Review ACT prep goal is to maximize your results in the shortest amount of time possible. While The Princeton Review is more expensive than many of its competitors, if you are looking to outperform 90% of students and want a guarantee, their courses are a great option for you. 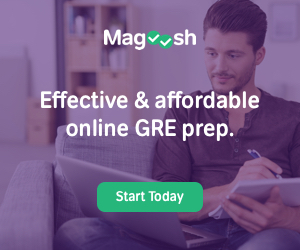 If you are looking for a more budget-friendly ACT prep course, take a look at Magoosh’s ACT course or our comparison chart comparing the top ACT prep courses. The Princeton Review students rave about the instructors. Not only are they ACT experts, but they are also engaging and funny, making the courses anything but boring. The Princeton Review instructors are known for their years of experience combined with the extensive training that The Princeton Review requires of them. They are also known for their love of the test and how invested they are in seeing students excel. Many of their tutors have been with The Princeton Review for decades, and their experience shows. Each of The Princeton Review’s courses offers world-class study materials. They all include over 140 expert-created video lessons on every ACT topic, over 1200 practice questions and 137 drills. Each course is personalized to your abilities, goal, and timeline. In addition to their online materials, each course comes with a Course Workbook for the ACT and their Practice Questions for The ACT workbook. The Princeton Review has two different courses with a score guarantee, the ACT 31+ and the ACT 26+. In both courses, they guarantee that you will score 31 points or 26 points, or more, or they will give you a refund. None of their competitors have a score guarantee built into their courses. And none of the other courses are geared to different levels of scoring. If you need a high score to get into your desired college or for merit-based aid, it may be worth the $1,299 or $1,399 price tags to get there. And they guarantee it in two months! When you enroll in the Ultimate, ACT 26+ or ACT 31+ course before the course starts, you get access to all of their online sessions, 20 additional full-length practice tests, SAT self-paced prep, and online resources. No other test prep provider offers pre-course access to their online materials. You have up to 365 days of pre-course self-paced studying available to you to get ahead. The Princeton Review is the only test prep provider that offers a combined SAT and ACT prep course or an SAT add on with their full-service courses. For students who haven’t decided which test is the best option or are considering both, this is a value-add. With their ACT & SAT Freepass course option, you get on-demand video access to their SAT and ACT courses, drills, and practice tests. This is a self-paced option, so you don’t have direct contact with their expert instructors. It is priced at $299 with a full refund offered if you get accepted and then attend a top 100 school. When you sign up early for their ACT 26+, ACT 31+, or Ultimate courses, you also get pre-enrollment access to on-demand SAT videos from their popular SAT 1400+ course, practice tests, and drills. After decades of instruction, The Princeton Review has put together an extensive data system that personalizes your practice drills to only what you need. The right problems at the right level will ensure that you are using your study time the most efficiently. Their artificial intelligence also offers a personalize study plan based on your starting score, goals, and how much time you have to prep. The plan will adjust as you complete the course. With each of their live courses, The Princeton Review offers a tutor-on-demand service. Anytime you have an issue with a practice problem or an ACT concept, you can get in touch with a tutor-on-demand and clear it up within minutes. This could potentially save you from hours of struggling with a problem or concept on your own. Tutors are available 24/7. The Princeton Review ACT test prep courses start at $799. Their most popular course (the 31+ score guarantee) is $1,399. They also have a private tutor option at $150 per hour. This is higher than most of the other courses that we’ve reviewed. They have a few lower-priced options, starting at $274. These are more limited courses and don’t offer their impressive score guarantee or all of their materials. They also offer an SAT course combination discount. If you are looking for a less expensive but still effective option, take a look at Magoosh, our top ranked ACT prep course. You can also compare The Princeton Review with other top courses with our best ACT prep courses comparison chart. Most high school students are busy with school, extracurricular activities, jobs, and a social life. The Princeton Review’s most popular courses are offered at specific times, making it potentially difficult for some students to put aside time to study. The courses also require approximately 6 hours per week of in class study time, as well as several additional hours of required homework. This may be more than some students are able to commit to. If you are unable to attend a class or don’t complete the homework, the score guarantee is voided. They do offer private tutoring, which can accommodate most schedules as well as a less popular self-paced course. The self-paced course doesn’t offer the same score guarantee. 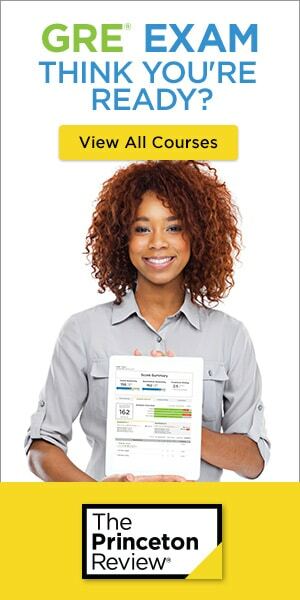 Each of The Princeton Review courses requires students to use paper workbooks. This might not be a drawback for you, but I like a course with a mobile app and completely online courses so that I can study just about anywhere at any time. The Princeton Review only has one self-paced option, the SAT & ACT Freepass, priced at $299. While the course does have quite a bit of high-quality material, including on-demand videos from the SAT 1400+ and ACT 31+ and over 3,200 practice questions, it does not offer access to tutors or any way to ask additional questions, either via chat or email. It also does not offer their impressive score guarantee. While a little less budget-friendly than other options, The Princeton Review is a great course for students interested in the top schools or who plan to receive merit-based aid because of their high test scores. Their 31+ ACT score guarantee may make the hefty price tag worth it to you, and their top-notch instructors will keep the classes interesting while giving you the best possible strategies and information. We recommend both of The Princeton Review’s ACT 31+ and Ultimate options as the top comprehensive ACT prep options on the market. CRUSH was created to help you excel on your graduate admissions exams in the most efficient, and effective way! Policies and Disclosure | Copyright © 2019 CrushTheGRETest.com. All rights reserved.